This post is in partnership with RLJ Entertainment. All thoughts and opinions are my own. Amazon affiliate links are used within this post. 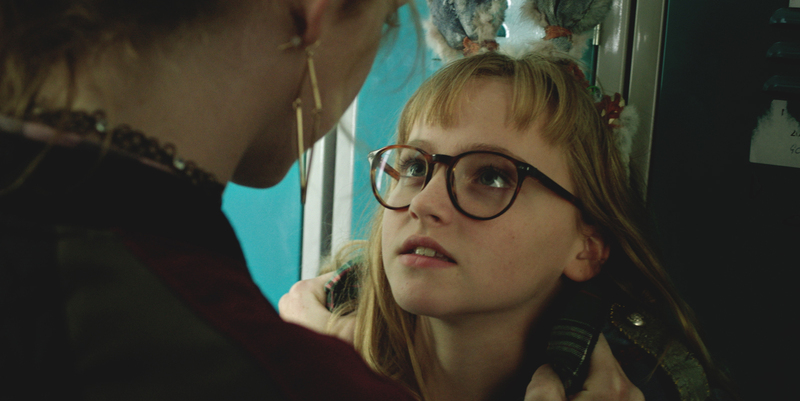 Please check out last week’s post – an exclusive interview with Madison Wolfe, who played Barbara Thorson in the movie. Madison had so many insightful things to say! 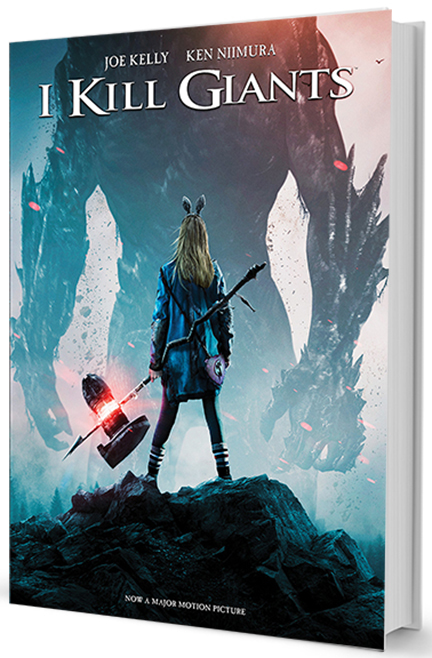 I just loved the message of I KILL GIANTS – we are all stronger than we think. We can get through hard things…but we don’t have to get through them alone. 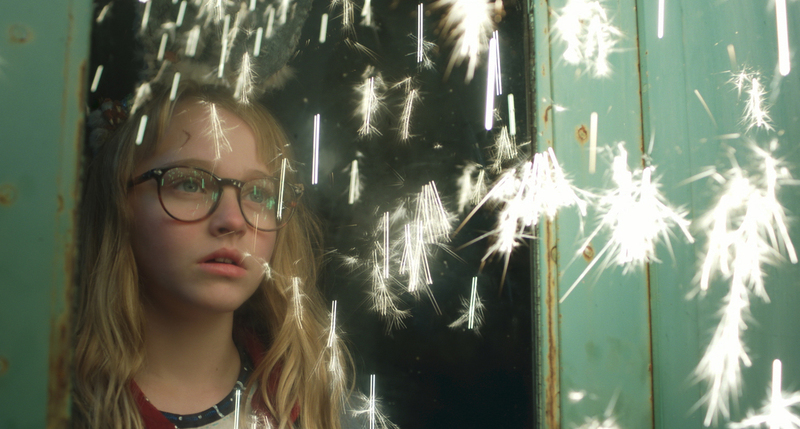 I think it’s a fantastic movie for parents and older kids/teens to not only watch, but also discuss together. It was a very deep and touching story for me to watch with my teens and tween. It was unexpected, unpredictable, and different from the typical movie. What a welcome change! 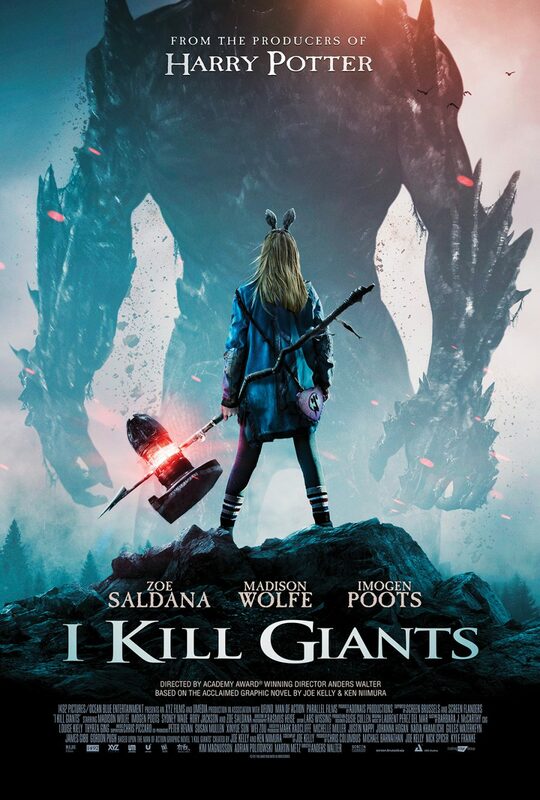 Enter to WIN an I Kill Giants movie night prize pack! To celebrate the release of the movie, I have a special giveaway just for Food Fun Family readers! Details: US mailing addresses only. Prizing courtesy of RLJ Entertainment. This giveaway will end on April 10, 2018, after which a winner will be chosen at random and notified via email. #StrongerThanWeThink is my daughter who had Cancer at 7 years old and my son with a heart transplant at 19 with Diabetes at 20 months old too these kids are so strong . My aunt has suffered through several medical issues for the last several years. She has had to quit her job as a nurse as a result. Today she underwent surgery to remove a tumor from her brain. She has been so strong through all of this. I commented on the TASTY FRUIT RECIPES – DELICIOUS DISHES RECIPE PARTY #111 post. My daughter is #StrongerThanWeThink as she has been bullied at school from acne issues and she is still working on it but seeing who her friends truly are. They told her she doesn’t fit in their group with her acne. Sad! I friend of mine is homeless, but stays positive and shows up for work everyday. Her strength is a real inspiration! My mom raised 6 young kids after our dad died serving overseas. I went back to college with a husband, a 5 year old and a two year old. I graduated with my teaching degree four years and lots of headaches later! My cousin is raising two kids under two. She amazes me! Getting through graduate school when I was pregnant. I commented on the Easy Irish Colcannon and Cooked Perfect® Fire Grilled Chicken post. I used to work in a Domestic Violence Shelter, I saw women who were #StrongerThanWeThink on a daily basis. Daily comment for me is here. When my niece had to go through back surgery for 16 hours. She did an amazing job. My daughter is #StrongerThanWeThink, although she is still a teen social anxiety has been really hard for her. She has moved to a new place, is studying abroad, and has made new friends and even a boyfriend-all things that are very difficult not to mention stressful. I am proud she has moved beyond her comfort zone and continues to make progress on her own without meds by setting challenges and goals for herself. My 12 year old granddaughter is #StrongerThanWeThink by standing up for herself to her friends when she knows that something is not “right”. This has been tough on her at times as she has lost friends over her strong beliefs. I was physically and mentally abused by my husband and my son was under 3 years old and I finally felt him. It was sad and lonely for a while but then everything turned around. And that was over 25 years ago. My husband died when I was 33 and I didn’t think I could carry on, but my friends helped me realize my strength and even though I still miss him every day, I’ve had a wonderful life. My mom went through a terrible divorce and showed her strength. My mother went through hard times raising us, but she never gave up and we are better than we were before. I was sixteen, homeless and sleeping on park benches. I survived and moved past it.. Own my own home now. I was #StrongerThanWeThink when I moved to Germany just after my 20th birthday for two years. I would have to say my kids because they were very strong when my dad died. They where very close. My friend got out of a job that was way beneath her and got one that she is excelling in. It was a hard many years and I’m super proud of her! when my grandson spiked a fever and went into convulsions I stronged up and got through it for him. All of my siblings and I have gone through some really crazy things but I’m super proud that it’s not only made us #strongerthanwethink but also way closer to each other. When my dad passed away it was a really hard time for my family, but looking back I can see how we are all stronger because of it. I experienced #StrongerThanWeThink when I got divorced. I became a single parent and it was a big job! My mother is #StrongerThanWeThink while raising three girls as a single parent. When my sister was missing for 7 weeks before her body was found I had to be strong for my mother and for son. It was one of the hardest times of my life but I persevered. I was #StrongerThanWeThink, as a child, had numerous surgeries that should had enabled me to walk. I did power through and was able to walk. Well, my husband was #StrongerThanWeThink, he survived stage 4 cancer, treatment was harsh, he made it. A young friend of mine was molested and she not only survived it but went on to accomplish great things with her life. I was #StrongerThanWeThink after enduring a prolonged abusive relationship. Never again! My mom was #StrongerThanWeThink when she was sick. She stuck to her treatments and got better. I had to be strong when my daughter was in the hospital. I was #StrongerThanWeThink going through many surgeries and dealing with many medical issues. My mom has been through so many surgeries and has been strong through all of them. My grandmother was strong. She raised 5 children without her husband at a time when divorce was uncommon. She was uneducated, but worked hard to provide.